food ministry Exam Date with new job circular-Online Form, Admit Card Available. Bangladesh khaddo montronaloy job circular 2019 has been Published. ministry of food New Job Vacancy Online Application Form and MoF Ministry Recruitment Admit Card Opened. The Food Department Of BD Government Authority ministry of food All New circular Upload on Bangladesh food ministry Official website www.mofood.gov.bd. you also See food ministry of Bangladesh Last Career Opportunity job circular in Edujobbd.com. 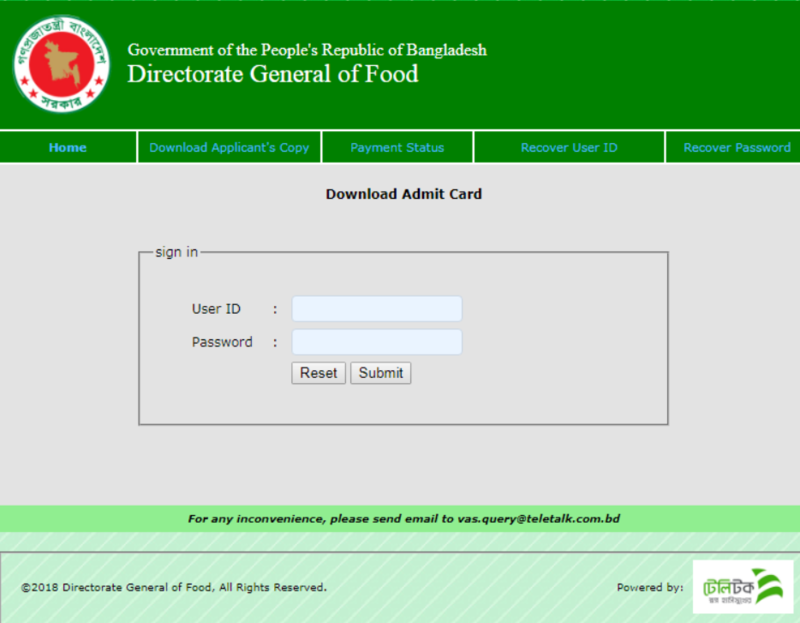 In here Download Food ministry Application Form, food inspector job circular bd Admit Card And khaddo odhidoptor Recent job Exam Date, Viva Results. See Below DFood Job Exam related Circular. Organization/Sector Name: Ministry Of Food Bangladesh. Vacancy Type: the Government job. Job Source: mof bd official Website. The Govt jobs Application Published Date: 26 October 2019. Application Start Date: 29 October 2019. Education Qualification: Candidate Must be SSC, HSC and honours passed. Job Experience : See food ministry job circular. Salary : 8,250 to 26,590 Taka. How to Apply: Though www.mofood.teletalk.com.bd. Application LastDate:: 28 November 2019. Example: dgfood HELP USER ABCDEF). Example: dogfood HELP PIN (12345678). For Knowing Next Update Food ministry job exam date and circular will upload here, Stay With Us. You Also Download Here, Bank Career, Ngo Jobs, Company/Private Hot Vacancy And National University Education News. 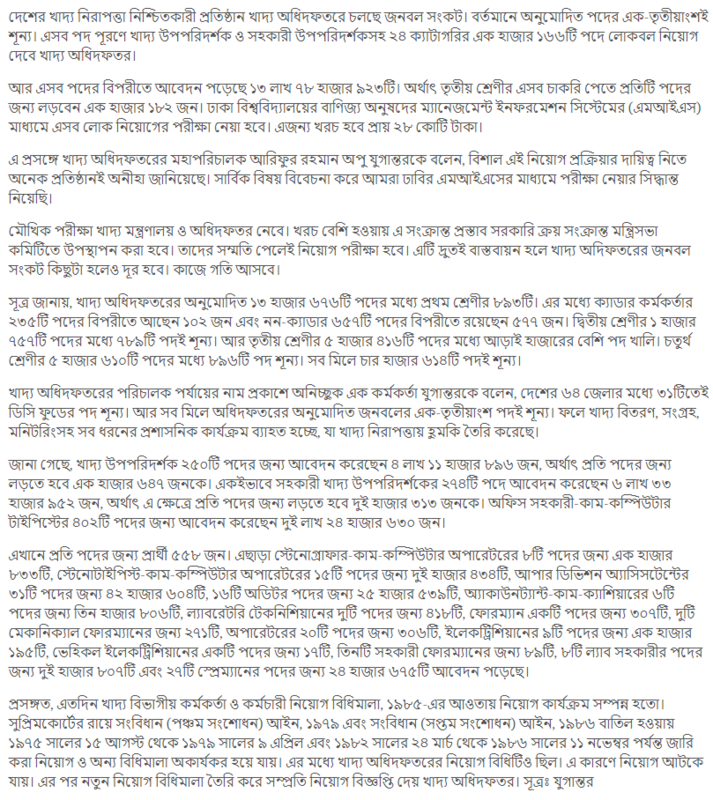 Thanks For Reading food ministry job circular 2019.